it may be somewhat of a beaten path to meander through this mother of all markets, but gourmet nirvana definitely lies ahead at 'mercat de sant josep de la boqueria'. 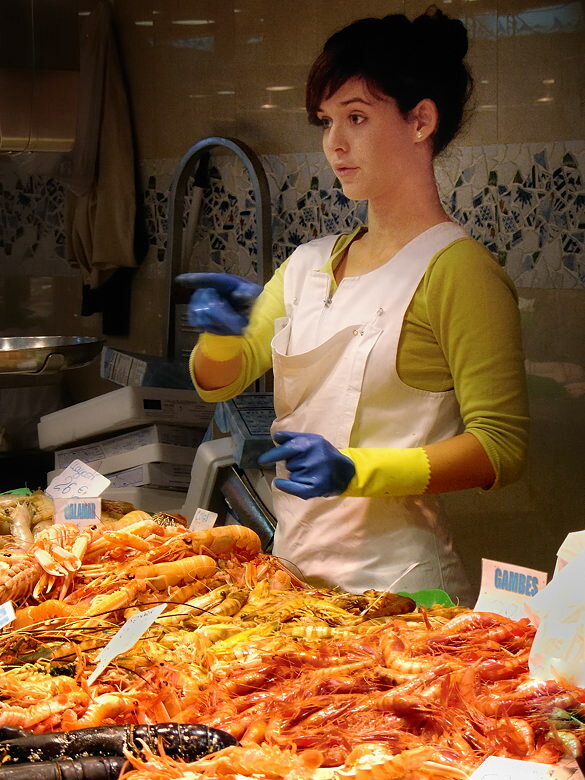 that, and the most pleasant string of fish-mongers you'll ever come across in western europe. this is a post-film, pre-DSLR capture so i had a struggle to keep the noise to a bearable level..